So it was that a few years ago, Greg Womble, my friend and bandmate who plays the banjo publicly, and I, who play it out of earshot but love it, went to Atlanta to hear the great Earl Scruggs. The legendary picker died not too long after that quick trip to hear our hero, but one of the unexpected gifts of that trip was that Pat opened for Earl. I heard the songs of a mature musical master, one after the other, bought his CD and came home determined that I wanted to get to know Pat better. We got “introduced” via email by a mutual friend, Johnny Pierce, editor of Baptists Today, who did an article on Pat’s musical journey. We corresponded and finally I invited Pat over to do a songwriter workshop with our local NSAI (Nashville Songwriters Association International) chapter, of which at that time I was the Coordinator. That workshop was a hit with the writers, and this year I invited Pat back. We scheduled to do a concert Saturday evening at the Moonlight on the Mountain venue here, a place where the best songwriters in the country perform every week. 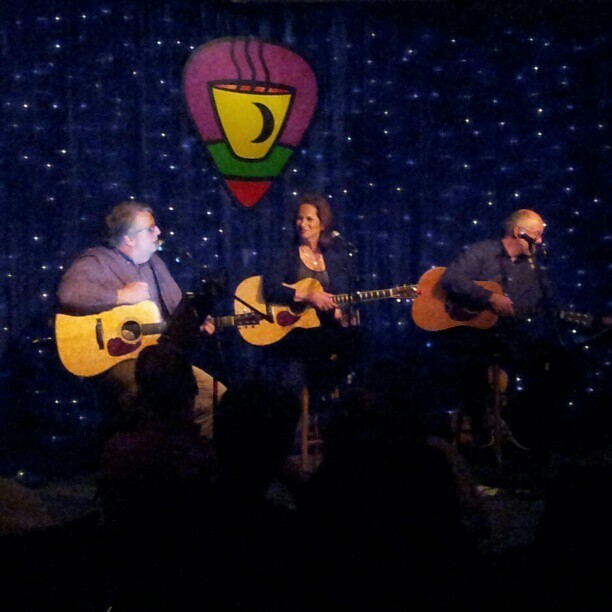 We were joined by Janet Hall, a local news anchor who is a fine songwriter and performer. The weekend was a great time for us all. 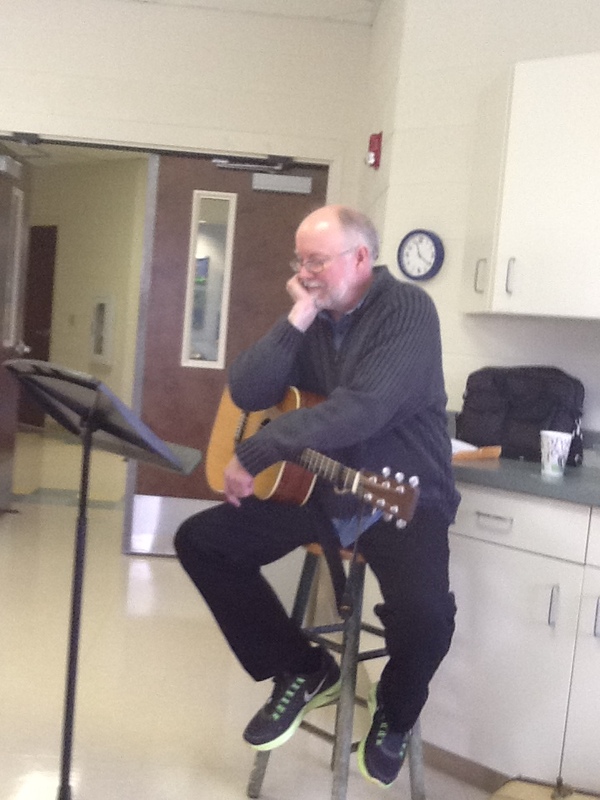 His workshop was a marvel as he took us through the genesis and development of one of his own songs. We saw a master at work, the care and stewardship of words and sound. Great art is a devotion to faithfulness and integrity. Artists, genuine ones, do what they do because they have to do it, not because of money or being known or even, as it most always was when many of us started out, because girls or boys are drawn to us. If it’s in you to write, or sing or paint or make pottery or any artistic longing, you have to keep doing it. Not only because it’s “who you are,” but because there is something you love to be found there. Truth is its own reward, and great art is paying homage to living truth. You listen to creation, hear something, and try to write it down as faithfully and honestly as possible. It’ll be mercy, not justice, that’s served. Posted on February 26, 2013, in Cancer, Faith, The Dillards, Theology, worldview and tagged art, artists, Baptists Today, contemporary Christian music, Gary Furr, Janet Hall, Jesus Movement, lyrics, Moonlight on the mountain, Music, Pat Terry, songwriter, songwriters, songwriting. Bookmark the permalink. Comments Off on Pat Terry and the Eye of the Artist.